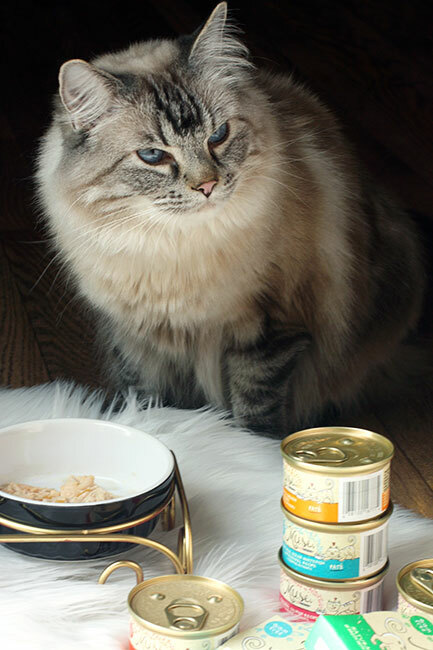 My cat Rose is a big fan of dinner, can you tell by the photo above? 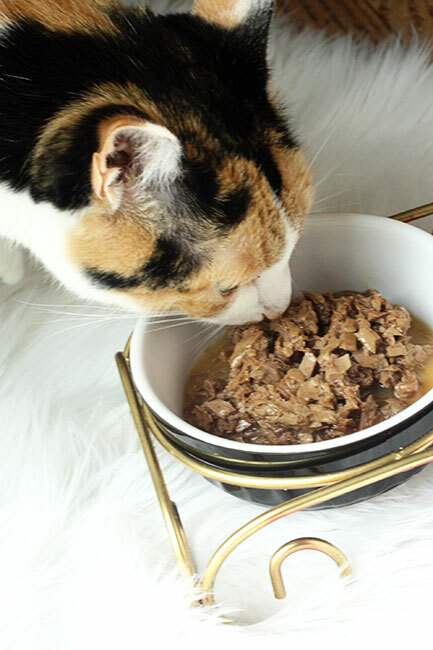 Well, lately she has been loving her dinner even more with Purina Muse® Natural cat food products. With Muse® you don’t have to choose between natural nutrition and food that tastes great. 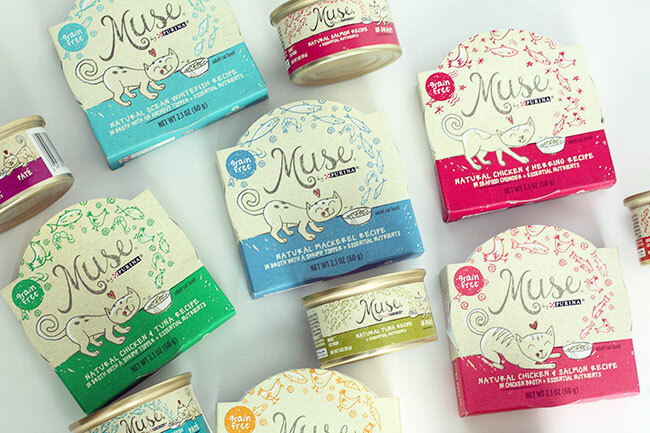 Your cat can have both when you choose Muse®. 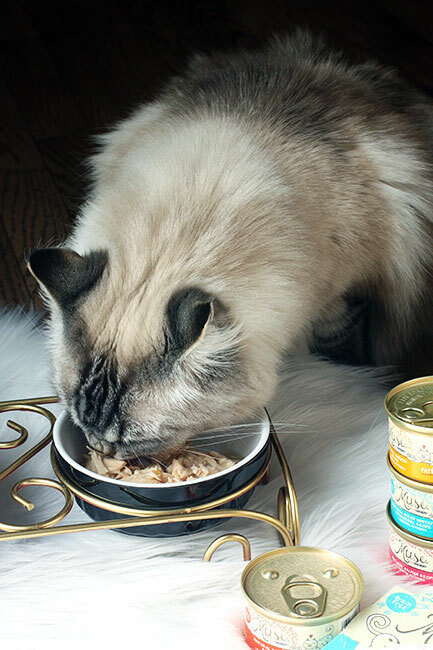 Purina Muse® Natural cat food products are sold exclusively at your local PetSmart store. 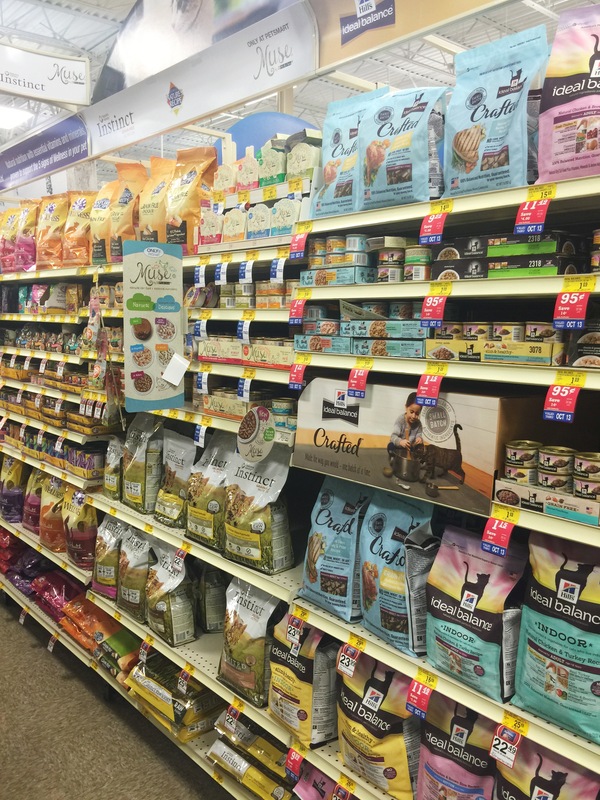 I found them in the Cat section under Purina Muse®. Once home, my cats KNEW I had something new and special for them to try when I came in with the bag from the store. 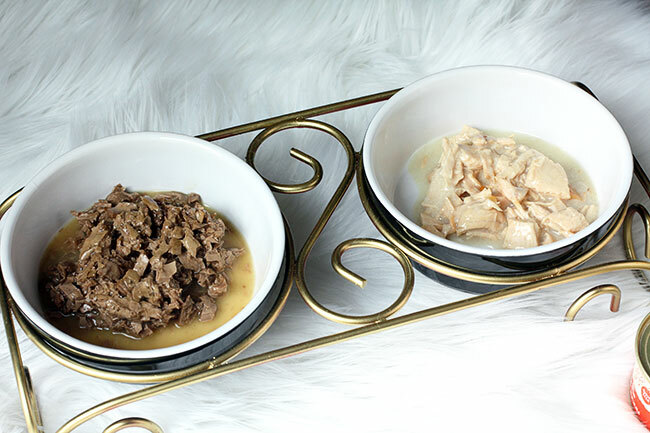 I purchased several different kinds, but decided to let them try the Purina Muse® Natural Tuna Recipe in Gravy (left) and the Purina Muse® Natural Chicken Recipe (right) adult cat food first. Bratches preferred the tuna and you will see her enjoying it here. However, Rose came over to eat and she ran off to finish it later. 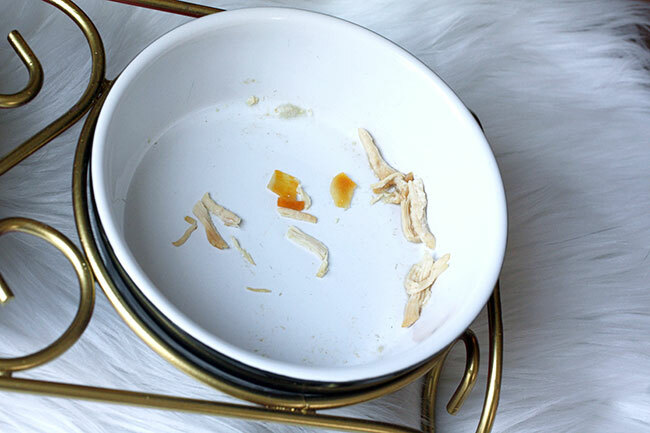 Rose preferred the chicken recipe and she ate… and ate… and ate. she licked her bowl clean! Natural has never been so delicious. Put Muse® to the test with our clean plate guarantee. 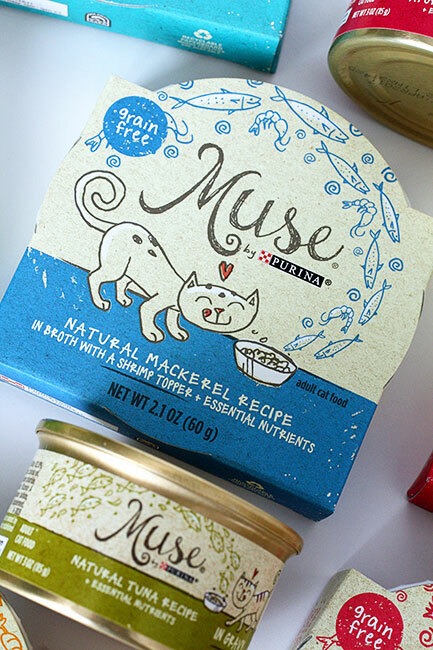 Purina Muse® packaging is bright and attractive. It also clearly states the ingredients and flavor on the front of each package. 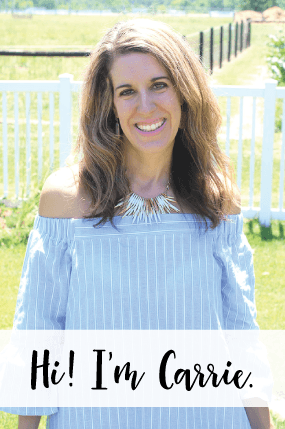 If you are like me, you’ll want your cat to try all of the different flavors- there are so many to pick from! 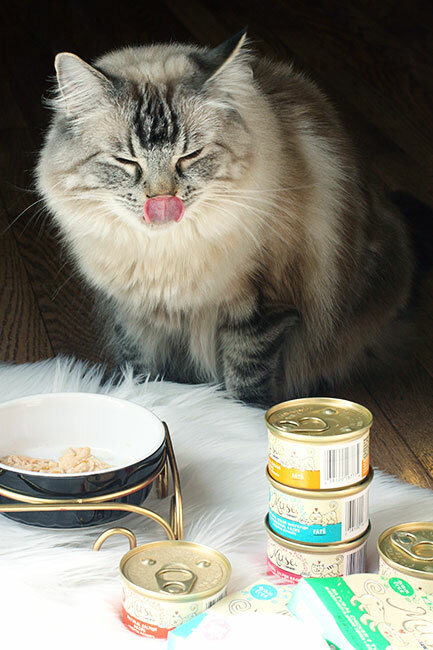 And, right now you can buy 3 packages of Muse® cat food and get 3 free with THIS coupon. All recipes made with real fish or poultry. 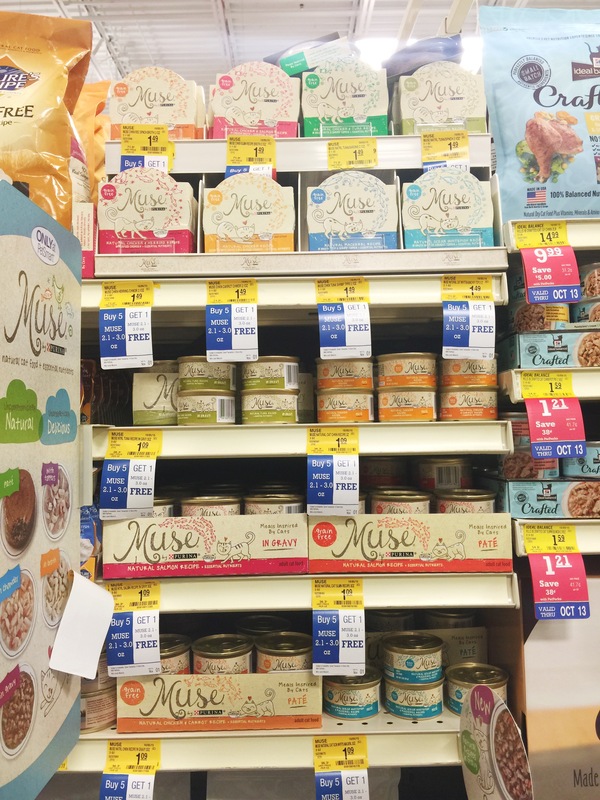 Next time you are at PetSmart, be sure to pick up some Purina Muse® cat food… your cat will thank you, because Purina Muse® is natural AND tastes good! 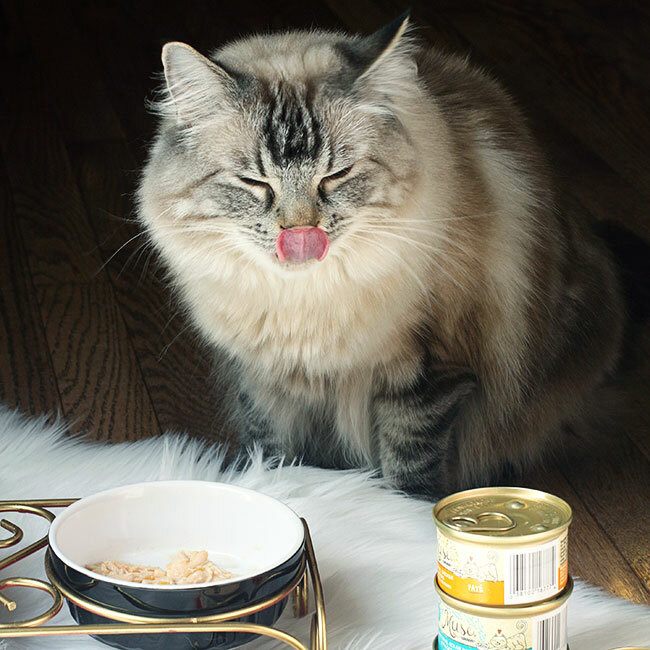 Which flavor of Purina Muse® do you think your cat would lick its plate clean to?